Since the publication in 1896 of Andrew Dickson White's classic "History of the Warfare of Science with Theology in Christendom", no comprehensive history of the subject has appeared in the English language. Although many twentieth-century historians have written on the relationship between Christianity and science, and in the process have called into question many of White's conclusions, the image of warfare lingers in the public mind. To provide an up-to-date alternative, based on the best available scholarship and written in nontechnical language, the editors of this volume have assembled an international group of distinguished historians. 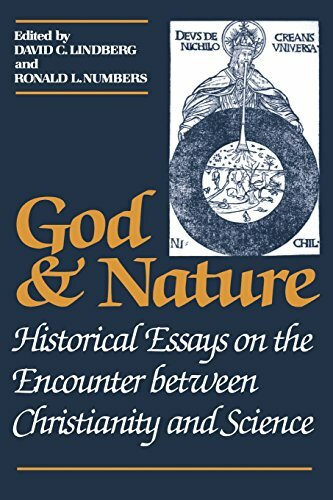 In eighteen essays prepared especially for this book, these authors cover the period from the early Christian church to the twentieth century, offering fresh appraisals of such encounters as the trial of Galileo, the formulation of the Newtonian worldview, the coming of Darwinism, and the ongoing controversies over 'scientific creationism'. They explore not only the impact of religion on science, but also the influence of science and religion. This landmark volume promises not only to silence the persistent rumors of war between Christianity and science, but also serve as the point of departure for new explorations of their relationship. Scholars and general readers alike will find it provocative and readable. David C. Lindberg is Evjue-Bascom Professor of the History of Science at the University of Wisconsin. Ronald L. Numbers is Professor of the History of Medicine and the History of Science at the University of Wisconsin.